China's medium-sized lenders are competing to raise capital from foreign partners or the stock market and eyeing opportunities to boost loan business in the first half of 2010. 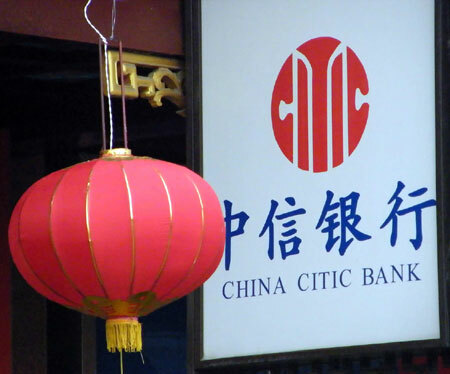 Beijing-based China CITIC Bank Corp may raise 1.1 billion euros from Banco Bilbao Vizcaya Argentaria SA (BBVA), the second-largest bank in Spain, media reported yesterday after its competitor Hua Xia Bank said last Thursday that Deutsche Bank has agreed to purchase an additional 3.43 percent stake in the Chinese lender for 81.6 million euros. BBVA, Spain's second largest lender, expects to earmark 1.1 billion euros to buy a 5 percent stake in China CITIC Bank at HK$6.45 per share, the Financial Times reported yesterday, citing unnamed sources. The deal could see BBVA increase its stake in China CITIC Bank Corp, the listed banking unit of the nation's largest investment conglomerate, to 15 percent from the previous 10 percent. In 2008, BBVA consented to increase its holdings in China CITIC Bank from 4.83 percent to 10 percent. BBVA was also given an option to purchase another 5 percent in the bank. BBVA is expected to exercise the option next week. Shanghai-listed Industrial Bank Co said in a statement yesterday it would raise up to 18 billion yuan in a rights issue to boost its capital adequacy ratio. Industrial Bank will sell up to 2.5 shares for every 10 held by shareholders through a rights issue, the lender, based in southeastern China's Fujian province, said in a statement to the Shanghai Stock Exchange. The fundraising plan, approved by the bank's board, is still awaiting the green light from China's banking and securities regulators and will remain effective for the next 18 months. Industrial Bank's capital adequacy ratio stood at 9.21 percent as of June 30, falling short of the 10 percent minimum required by regulators for small- and medium-sized listed banks. Chinese lenders are rushing to replenish their capital to support further expansion after a lending boom in the first half of this year spurred regulators to tighten capital requirements, to reduce risks of a possible increase in bad loans. "Most shareholding banks cannot support next year's loan growth with their current capital adequacy levels, and they're under pressure," said Qiu Zhicheng, an analyst at Guosen Securities Co.
By 2011, Chinese banks may need to raise as much as 113 billion yuan through new share sales to plug capital shortfalls and support continued robust loan growth, Citigroup said in a Nov 19 report. China Minsheng Banking Corp, the nation's first privately owned lender, raised funds last Friday in Hong Kong's biggest public share sale since April 2007. China Merchants Bank Co aims to sell as much as 22 billion yuan in shares in a rights offer by the end of the year, President Ma Weihua said earlier. With expectations of "fast loan growth and balance sheet expansion in 2009-10, banks will likely need to raise new capital to meet regulator's higher" capital-adequacy standards, BNP Paribas analyst Dorris Chen noted. "Potential equity/hybrid debt raising could pose a sector overhang in 2010-11." The China Banking Regulatory Commission said in September it plans to tighten capital requirements for banks by capping cross holdings of subordinated bonds. The regulator also tightened lending requirements on loans for fixed-asset investments and mortgages to avoid misuse of funds.